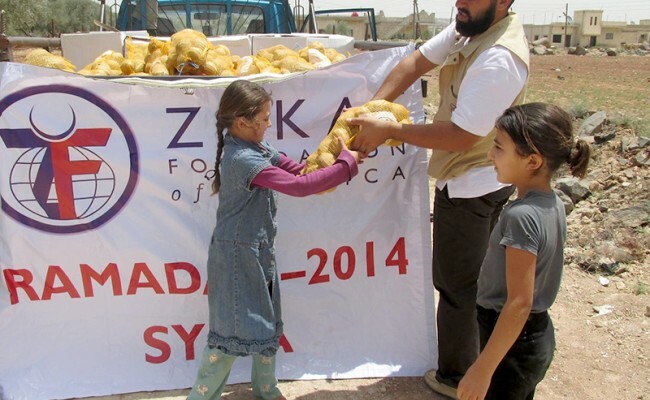 Although events during the holy month of Ramadan brought increased suffering to many Syrians both inside and outside their country, the donors of Zakat Foundation of America (ZF) shared a little of their joy with Syrian refugee and displaced families. In Amman and Irbid, Jordan, your generosity made a five-day soccer tournament and multiple carnivals possible that enabled Syrian refugee children to play, ride a Ferris wheel and enjoy a few days free from the suffering they have lived with for more than three years. 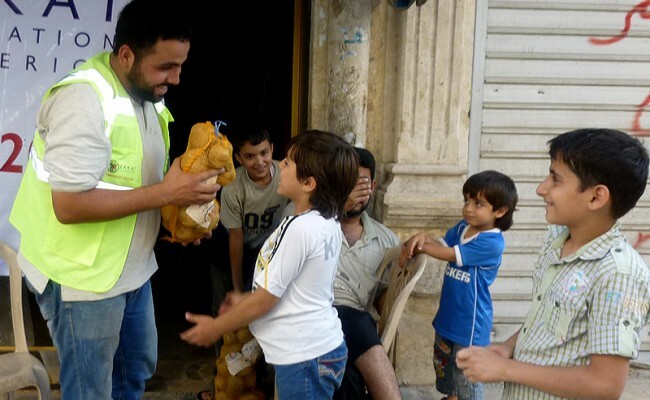 The children received vouchers for new Eid outfits and 1,500 families received protein-based food aid. 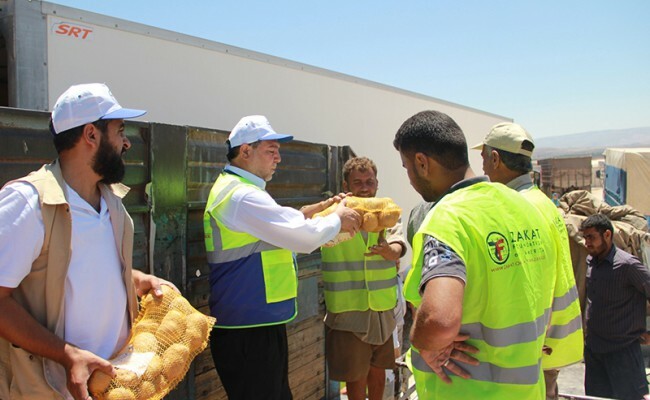 Inside Syria, your solidarity with all those who hunger made possible the distribution of 2,500 food packages and 10,000 pounds of potatoes to families in need, in response to repeated requests from internally displaced Syrian families. 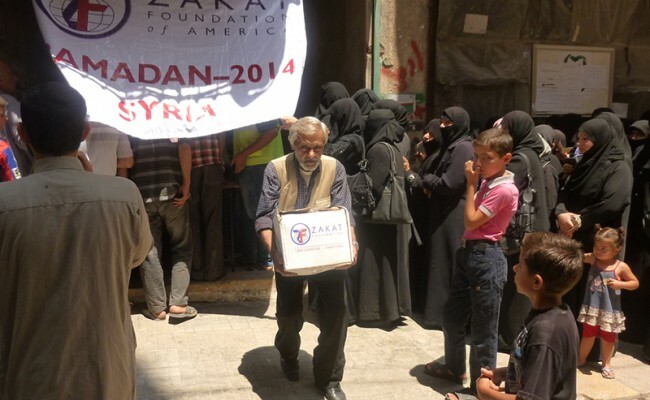 In Homs, an area that is harder for aid organizations to reach, ZF distributed 500 food packages during Ramadan. In Tah camp, the Eid celebration you made possible brought much-needed joy to the faces of parents and children alike. 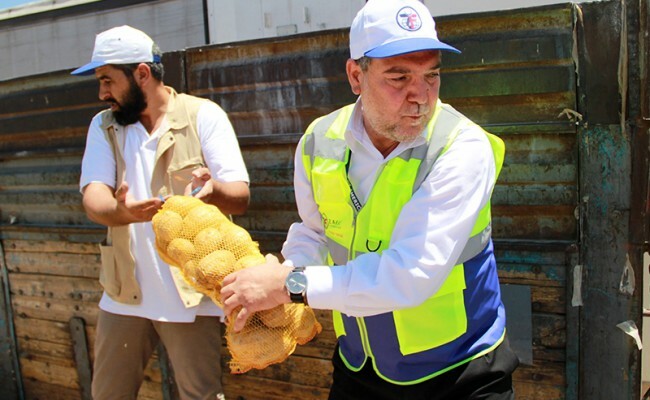 For many homeless families in Hama, your generosity allowed ZF to deliver ice blocks to cool those who spent the long days fasting without shelter from the sun. 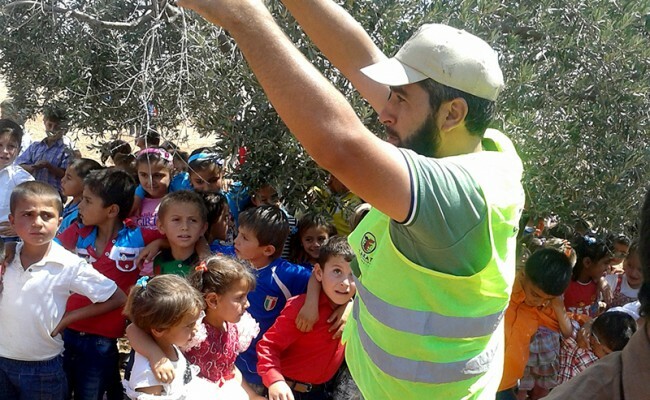 In Gaziantep, Turkey, you gave Syrian teachers and their families added security and hope through your donations of food packages. 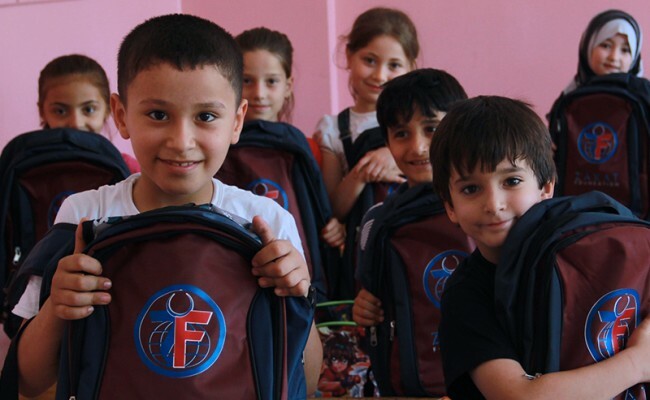 You gave their students backpacks and school supplies that ZF Executive Director, Khalil Demir hand delivered. You fed more than 300 people a warm, comforting iftar in Istanbul. And you gave food packages to 500 Syrian refugee families in Turkey. You did this through the grace of God. So on behalf of the many children whose eyes lit up with joy and whose parents stopped worrying about food for the time being, ZF staff in the US, Syria, Turkey and Jordan send our heartfelt thanks. 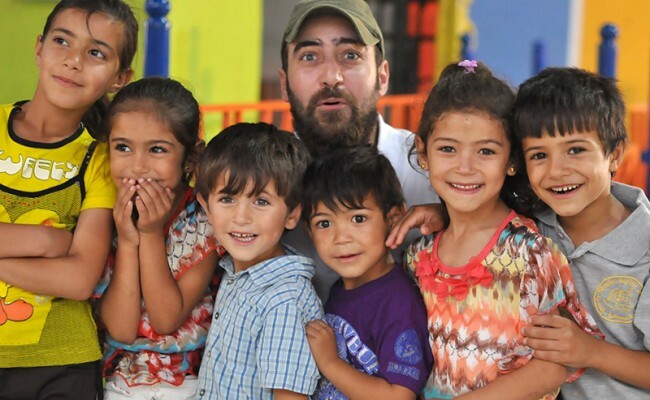 Thank you for making the holy month a little sweeter for Syrians and Syrian refugees. May God bless you for it.